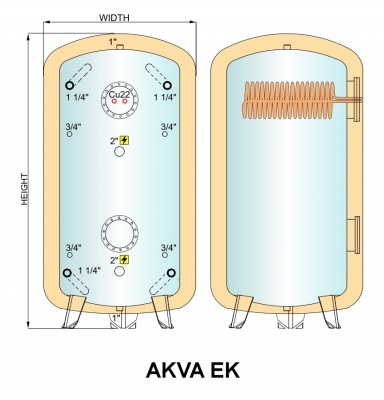 The customisable AKVA EK accumulator tank is available in standard capacities from 300 to 5000 litres. On special order, we can supply this store in capacities up to 10 000 litre. The pressure class is 3 bar and the new high efficiency seamless closed cell polyurethane is 100mm thick. 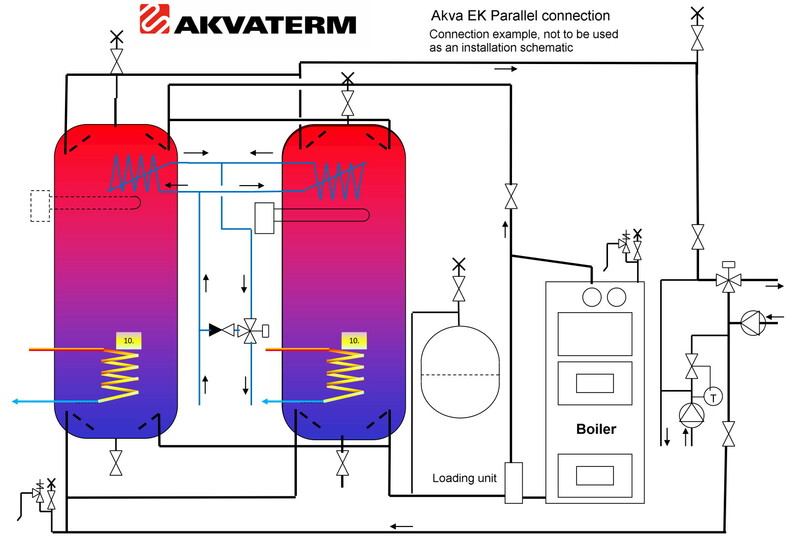 AKVA EK is delivered without coils as standard, however up to two indirect coils can be added. 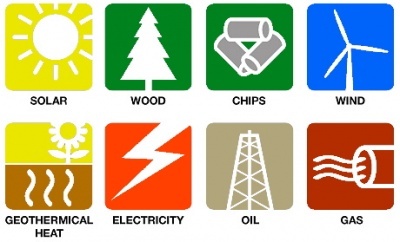 These additional coils are normally used for domestic hot water, solar panel, wood boiler or heat pump connections. If domestic hot water demand is particularly high, then a second coil can be used for pre-heating. Coils can also be retrofitted. The accumulator has two 2" connections for electric immersion heaters and internal guide pipes to ensure good heat layering inside the tank. All connections are extended close to the tank surface for easy installation. Special extra large coils are also available, please contact us for further information. 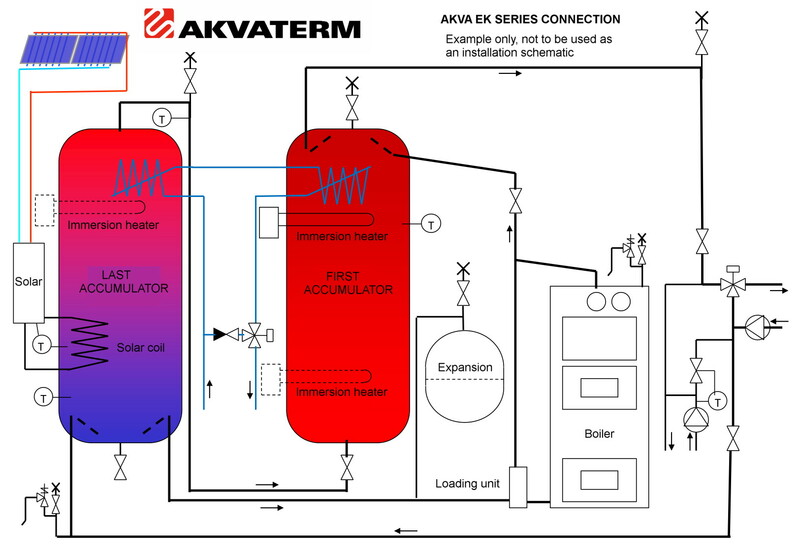 AKVA EK accumulators are ideal for use in systems with oil/gas, wood and pellet boilers. 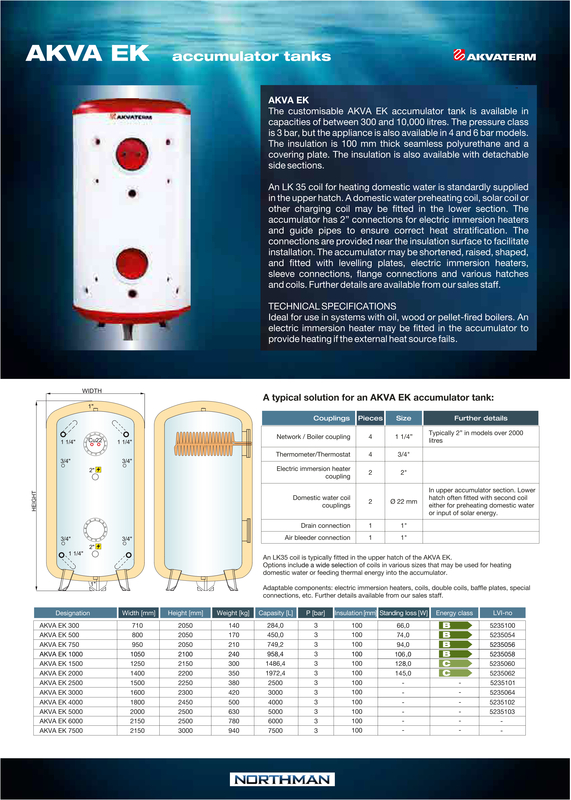 The optional electric immersion heaters can provide heating back-up and will also accommodate the connection for solar PV panels.